Rumors have been circulating for over a year that Microsoft's gaming console will get support for Windows apps, and now MS has made that a reality. 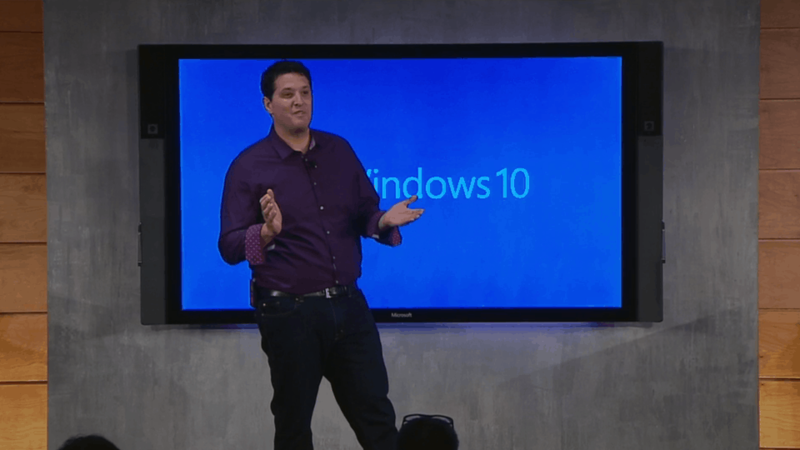 "With Windows 10, universal Windows apps come to Xbox One," said Terry Myerson (above), head of Microsoft's Windows division, revealing the news during its Windows 10 event today. Microsoft had announced plans for universal apps at the company's Build conference last April, and last spring they did roll out support for universal apps which can run on both Windows Phone and Windows 8, but this is the first I've heard any specifics which also included the Xbox One. It's a shame it's not happening sooner, but on the upside the integration works both ways. Windows 10 is also going to gain the option to stream Xbox One games, including on both tablets and PCs. It looks like the Xbox One is doing all the heavy lifting, though.